By conveying our emotions, we get the necessary energy so we don’t give up and keep moving forward,” said Julio Fonseca, Director of the Personal Growth Center. Seventy days after Hurricane María, the emotional health of Puerto Ricans has become one of the most urgent social concerns facing the island. 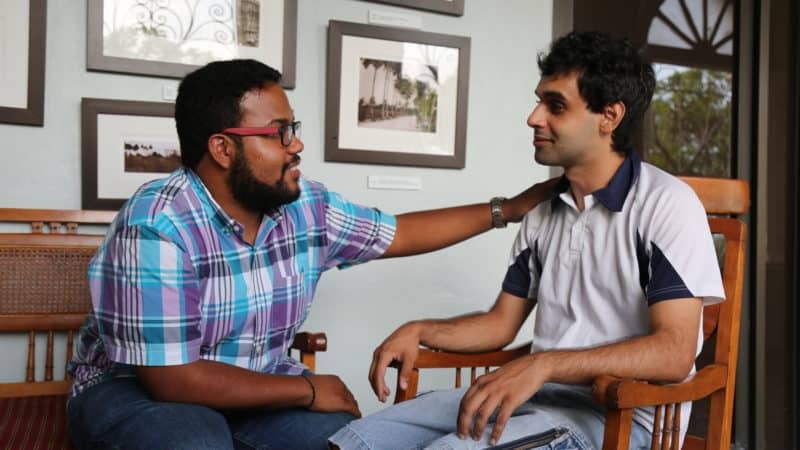 Through “Sagrado is With You” (Sagrado Contigo), the Personal Growth Center’s work team and the Campus Ministry Center have had an integral role in the Sagrado community’s psychological and spiritual healing. Along with the efforts to promote health at the University as well as in the neighboring communities, a number of support strategies have been developed focused on different groups. Among these strategies are counseling support; availability of Doctoral students for informal conversations during lunch hours; spiritual counseling; and motivational conversations directed to employees; among others. Human beings need a place to talk, cry, scream, and share their emotions. They need to unload their frustration so that these feelings are freed in an appropriate manner. If they are not expressed, they can become like a balloon so full of air ready to pop,” commented the psychologist. 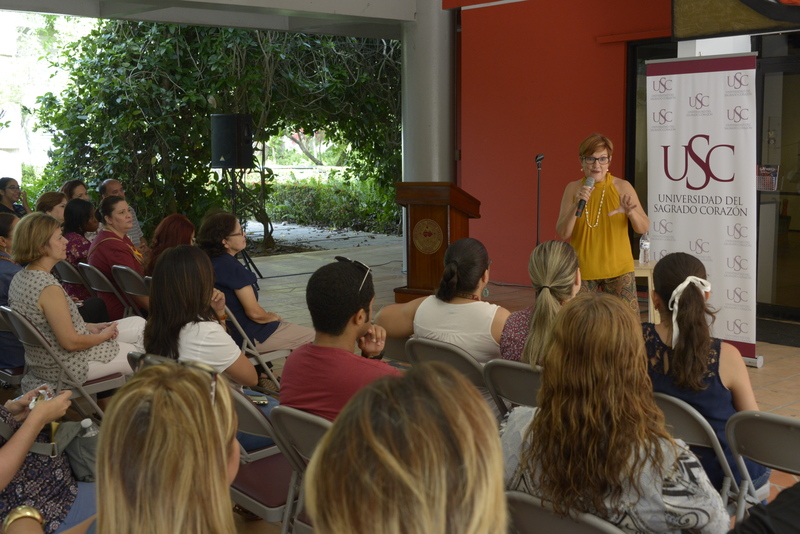 Fonseca, who has been at Sagrado for 30 years, emphasized that during this period of time, the University became a blessing for the students. 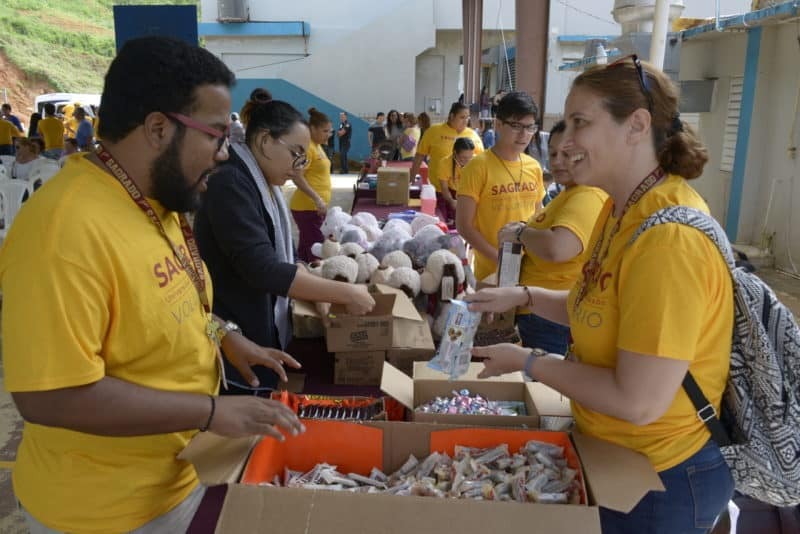 “When the students came to Sagrado after the hurricane, they found in the Student Center an ideal place for diversion, a coming together to share and relieve tension. The Center, which has Wi-Fi access and electricity, became a paradise for them. There, they found some normalcy within the chaos that helped them in the healing process,” he stated. Elisabeth Pezzuolo, Ministry and Liturgy Coordinator at the Campus Ministry Center, emphasized the strength shown in vulnerable situations and highlighted that in fragile psychological and emotional times, the citizens are willing to share what little they have so that others can be helped. “As an Italian, I was surprised that the Puerto Rican people, in the most desperate of times, have the will to continue on and not give up. During this time, each one of us has had to search into our soul, accept their pain and the ‘loss’ situation, and bring out from within all the energy and faith to continue on,” said Pezzuolo. 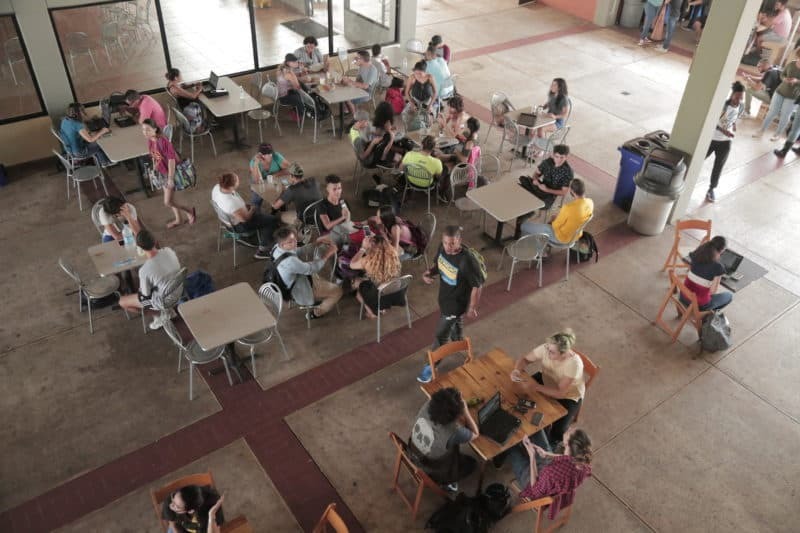 At this time, the Campus Ministry Center has serviced more than 350 people, which include students, employees, and neighbors from the nearby communities. According to the Coordinator, practically everyone, even within their own situation, has shown empathy toward others and the willingness to help. Likewise, activities were included for administrative employees within the recovery efforts. These employees participated in an enjoyable discussion, led by Lily García, motivational speaker and presenter, who like Fonseca and Pezzuolo, emphasized to the audience the need to laugh, accept our new reality, and the importance of articulating how we feel to be able to heal. In addition, she discussed that when citizens state their experiences and emotions, they decrease the stress level from external tensions, their feeling of isolation, and prepare themselves for future stress situations. “We need to learn to see the cup half full and not half empty. One of the lessons that we have learned from María is what we are most attached to. This situation has been the same as the mourning process because we have felt the same stages of loss: shock, denial, anger, negotiation, depression, and acceptance. When we go through these stages, we discover that there is a difference between being vulnerable and being weak and, to heal, we are allowed to laugh and also cry,” concluded García.